Four-wheel chassis booms ranging in size from 50 to 64 metres & hosereel mounted booms allowing lane spacings of 18-48 metres. Our standard acoustic pump cover now comes in NATO green which helps it blend into the background to avoid unwanted attention. The "Model 10" Roto Rainer was awarded the highest accolade in the agricultural machinery world. Award winning manufacturer and supplier of market leading irrigation and dirty water dispersal equipment. Small enough to care but big enough to cope with the demands of the modern irrigation market. We supply irrigation equipment to distributors across the UK and around the world. Our products are distributed throughout Europe including Ireland, France, Germany, Switzerland, Holland, Belgium, Sweden, Denmark and Hungary. 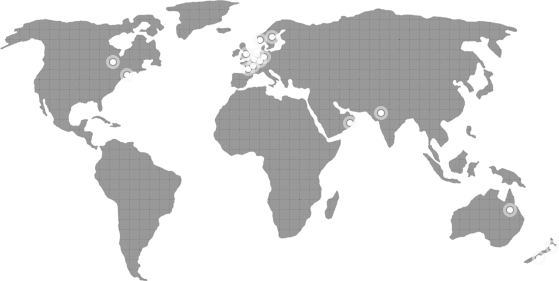 Worldwide we have distributors in the USA, Canada, Australia, New Zealand, Pakistan and the Sultanate of Oman.